Swimming pool construction company Nigeria is nationally recognized not only as the industry leader, but as a best-in-class pool construction company that offer the best and highest quality swimming pool installations at the best rates. Our company is Nigeriaâ€™s leading pool repair and construction company. We are based in Port Harcourt but our franchise agents are spread across the entire Nigerian states( Lagos, Abuja, etc). SPCC has been building swimming pools for Home owners and Hoteliers within and outside Nigeria since 2011. Our repute within the short term of existence has grown tremendously due to our commitment to deliver quality and client satisfaction at all cost. SPCC is a one customer company, every client is treated with utmost dedication and sincerity. Itâ€™s our desire that you are happy. Because we believe that a happy customer will not only come back, but would come back with another client. This is our little secret for the huge growth we have experience in the past 5 years. Our business growth is tied to our clients contentment and happiness. 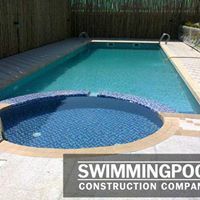 So if you are looking for a reliable swimming pool company that put customers first, Then Swimming pool construction company is your ideal choice. Are you considering the options available for you to build your own pool? Or you are searching for the best swimming pools company in Nigeria? There are some certain factors you need to consider. You also need to bear in mind that there are a lot of swimming pool companies out there that claim to offer the same service at even a cheaper cost. You should ask yourself what do you really want? Do you want a reliable pool company with years of experience and proven Job records. Or you want the cheapest swimming pools company with no job records to show? The complications that comes with a bad swimming pool design are so enormous and excruciating but you can help to avert it by making the right decision in choosing your swimming pool company. This is where Swimming pool construction company comes in. SPCC is a fully licensed and accredited pool installations establishment with over 40 franchises across Nigeria. We serve clients that are willing to harness the quality of our craftsmanship in delivering and implementing top-notch pool design ideas. 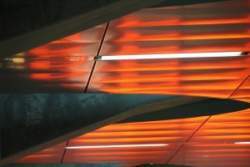 Every jobs is treated differently, we put in our best to deliver quality in every project we undertake. SPCC puts into consideration all the ethics and best practices in swimming pool construction when delivering any Job. We abide to the industry standards and thrive to fulfill our main goal which is geared towards clientâ€™s delight. We are so confident in our pools that we give lifetime warranty for all our pool designs. You wonâ€™t experience any form of leakage or Tiles Damage. This bold assurance is due to the fact that we do not only put into use the best local and international swimming pool construction standard codes ethics, we surpass them. All our jobs comes with 3 months free maintenance and servicing. Thank you for visiting. If you need support, please email us. We will try to respond to all support requests within 24-48 hours. Visit the website of Swimming Pool Construction Company Nigeria for more information. Click here.